Im sure WiiU is at least 50% more powerfull than this generation. Why are they bothering with a Wii U port..
Are you illiterate, or just severely retarded? It probably took you longer to type that message than actually read the 4-sentence paragraph above….idiot. I’d remove it from my vocabulary too. Of course it’s not a port. It’s a port with new controller features. This guy felt the need to add that extra comment so that Nintendo wouldn’t start complaining about how they gave people no reason to buy their version of the game. Read the article people, it’s very clear. Also: “When Faylor was asked if the game was indeed a simple port of the Xbox 360 and PlayStation 3 versions” is simply not true. Faylor was not asked anything but felt the need to step in and stop his co-worker from calling the title a port. The Wii U version of Aliens: Colonial Marines is the DEFINITIVE VERSION OF THE GAME!!!!!!! Sounds like it is, he just doesn’t want to see it. Oh well, i’m still really excited for it. ………He just doesn’t want to say it….? HE JUST SAID, AND I QUOTE: “I hate that word. The Wii U version is not a port. Remove it from your vocabulary” Why would you think he’s just saying that?! The lghting is pretty good, so I hope they do more with the Wii U version. Plus, they did say they were doing some “amazing” stuff with the Wii U version, so I want to see even more now. I wish they use the tablet like virtual reality helmet. Perhaps the TV could work as split screen view of team mates cameras. if only I cared about that game enough to like this news. So the Wii U version will be the definitive version? It should at least stand side by side with the PC version. At least I hope so. 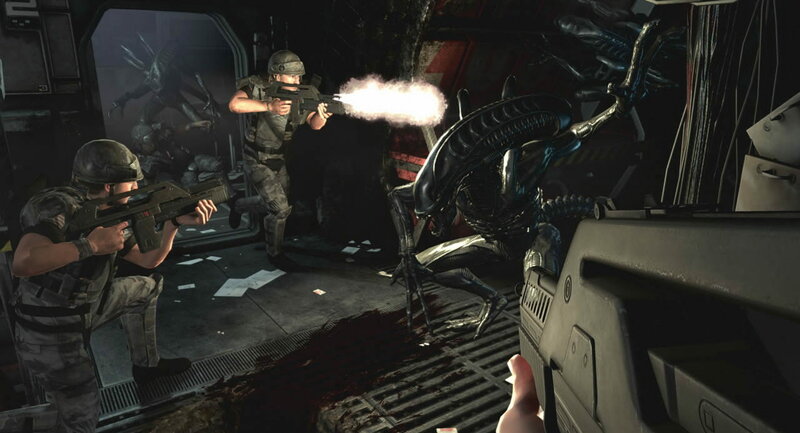 That’s right… the definitive version of Aliens: Colonial Marines is a Wii U exclusive. I’m already screaming like Chris Tucker (Friday) over that soon to be released game!!!! !